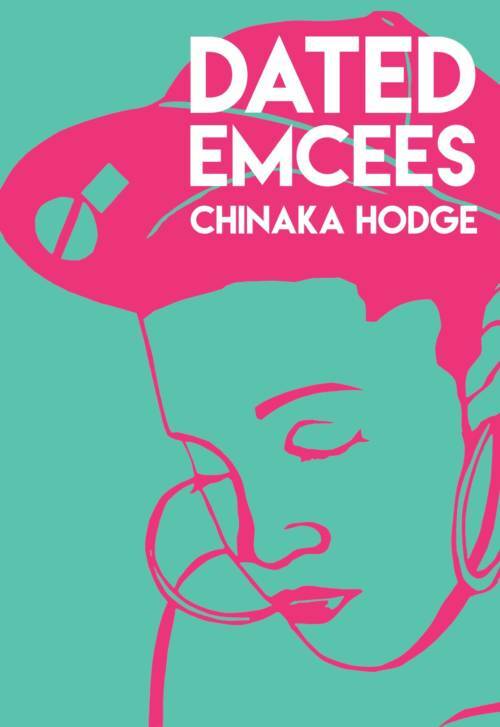 At first glimpse, it seems as if Chinaka Hodge’s short, brazen poetry collection Dated Emcees will revolve around the conceit of its title’s puns—a book concerning emcees who are both dated, as in old, and dated, as in romantically linked. Indeed, many of the emcees mentioned in this book are both romantically entangled with the speaker, and also decidedly old-school—Jay Z and Mystikal, for instance, but also Tupac and Biggie, who both receive formally inventive eulogies early on. me. an african. a blizzard. snow flurries. his sable cheeks. The book’s vein of racial identity politics peaks in “The Oscars (an epic for Ryan Coogler).” “The Oscars” is a suite of powerful poems describing the Oakland premiere of Coogler’s film Fruitvale Station, which itself tells the story of Oscar Grant, fatally shot by an Oakland Police officer after a confrontation at an Oakland BART station. Born and raised in Oakland, Hodges spins a broad and powerful portrait of her “brothers” and “lovers,” claiming, “Everyone black man I love been through it […] This one life keep coming at like an electric train.” After introducing the speaker’s lovers and brothers, the poem brings them together for a Fruitvale Station screening in Oakland “packed, all night, with men, with low cuts, / skeptical eyes, with grudges and trust issues, / with pamphlets, with offspring, with mothers.” The film brings these men who “all came, in a single- / file line, to sing this dirge with you, to see if a demon could / be released, to test if they were still magic as they thought” to a messy catharsis. About these men, the poem concludes, “They are all Oscars.” Here, Hodges puns again, this time to devastating effect: they all could be Oscar Grant gunned down at a train station, or they all could be Oscars to award Coogler’s filmmaking achievement. Dated Emcees successfully tracks these dualities throughout—black/white, groupie/lover, dating/dated, a black man from Oakland gunned down at a train station/a black man from Oakland becomes an award winning filmmaker. Hodges questions, puns, and probes these paradoxes in a fiery, personal voice, always locked in to the beat.